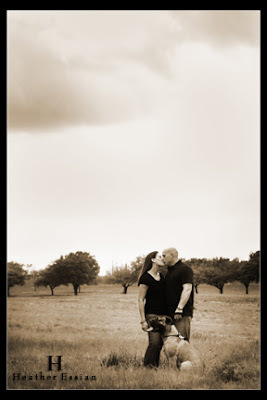 I had the opportunity to shoot Lance and Rachel's engagements the other day. I think they were a little camera shy at first but got over it quickly and then I couldn't stop em from smoochin! Thanks Lance and Rachel you guys were great, and I hope your wedding day is wonderful! Amazing how beautiful my friends pictures are! You are so great at what you do Heather. I LOVE the one of them sitting in the concrete window with the trees in the back. Beautiful people, beautiful picture!